For this year’s O’Reilly Open Source Conference (OSCON), taking place in Austin May 16 – 19, the organizers tried to break out of the box, offering not only a new location (OSCON was previously held in Portland, Oregon) but also a new range of speakers as well. As a result of a concerted effort to draw participation from a wider range of users, OSCON attracted over 1,500 submissions for possible talks, the largest number ever submitted to OSCON. On this episode of The New Stack Analysts podcast, The New Stack founder Alex Williams and editor Benjamin Ball speak with the organizers of OSCON chairs: Kelsey Hightower (Google Cloud Platform staff developer advocate), Hanselman, and Rachel Roumeliotis (O’Reilly Media software architecture conference program chair). The podcast can also be heard on YouTube. “Our wall of faces looks like America, and I think that was one of the goals and the nice thing about it, was that we had such a huge pool […] it ended up being a really great, good-looking crowd of people that’s very representative,” Hanselman said. By varying OSCON’s discussion topics focused on new or emerging paths in open source, the convention’s diversity was further increased. “We go from pretty heavy duty tech stuff with architecture, drilling to heavy code stuff, but then there’s also leadership track, contributor track, and those stories are really diverse,” noted Roumeliotis. 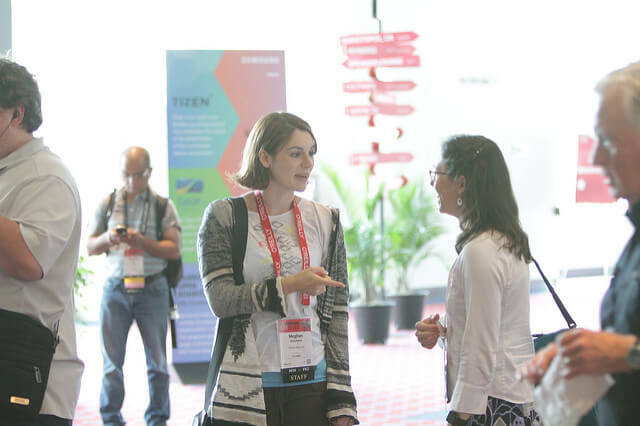 By finding those who may not have had prior conference speaking experience, OSCON encompassed the ideals of the open source community. “It’s not just about who the person is that’s giving the talk, sometimes there’s a lot of passion that comes out from a person that’s really at the ground floor at some of these projects that really deliver well on these in real life talks,” Hightower said.